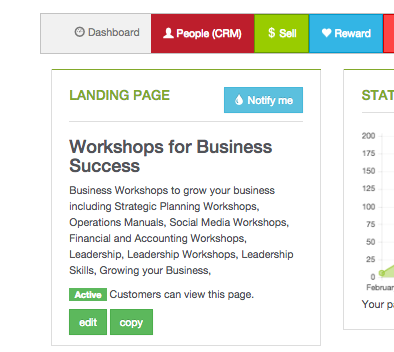 Click on the Engage tab in the PeopleVine Control Panel and select "My Content." 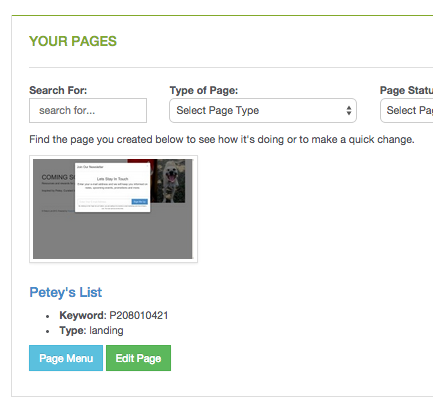 Here you can search, sort, and view a list of your pages. Locate the page you wish to edit and click "Edit Page." Note that from the Page Menu you can select "Copy" to make a duplicate of the selected page (helpful for modifying a page without disrupting your live web site, or for copying the layout for a separate page).